Handmade, hand felted organic soap. 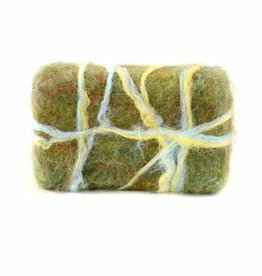 The soap stays in the merino wool felting, as the wool will act as an exfoliant and washcloth and shrink with the soap! Choose from a variety of scents.